The hiring process for any job can be stressful and exhausting. Jobs in academia are particularly well known for having a grueling and convoluted process, especially positions that combine teaching with conducting research. Your CV will be the first and most visible document that a hiring committee will see, so it is of the utmost importance that you put your best foot forward. In order to ensure you are putting your best foot forward ask yourself these simple questions. How ‘scannable’ is your CV? The position you are seeking could very well have hundreds of applicants, which means there is little to no chance your CV will be read in depth during initial screening. Therefore it is extremely important that your most important accomplishments and abilities that you want the employer to recognise jump off the page at a quick glance. Do you have sections split up among multiple pages? I hope you don’t. You should easily be able to alter the format of your CV using heading, fonts, etc. to ensure that you do not have sections crossing page boundaries. Do I have to structure my CV in chronological order? YES! In other professions or industries chronological structure may not be needed nor desirable, but in the academic world reverse chronological order is absolutely required. Remember, your CV is often the first impression you will be making on your potential employer. No matter how well qualified you are for the job, if your CV doesn’t pass the sniff test you won’t get the job. 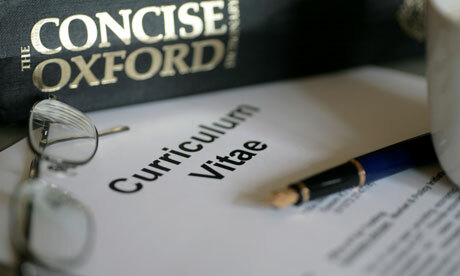 Take time to make sure your CV is in order and you will be well on your way to getting the academic job that you want.